I met Dave Albon at the Erskine Garden Centre at the south end of the Erskine Bridge. 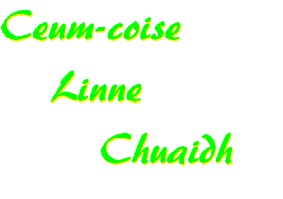 He had walked up from the Mull of Kintyre along the Firth o Clyde Rotary Trail. He had planned to walk to Milngavie, thus completing the Clyde Coastal Path and then on to cape Wrath completing the International Appalachian Trail (Scotland). However, he had a family bereavement which required his presence and so abandoned his quest, hopefully for the time being. 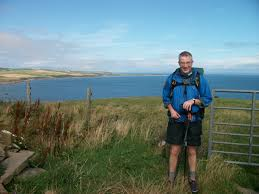 Dave is a Church of Scotland minister from Ayrshire and regarded this walk as a pilgrimage. In fact, he had met up with many religious groups along the way.